Myanmar’s unusually fertile soils and abundant water source are legendary in Southeast Asia. It is even said that Myanmar has the most favorable agricultural conditions in all of Asia. Almost anything can be grown in the country, from fruits to vegetables, from rice to pulses. 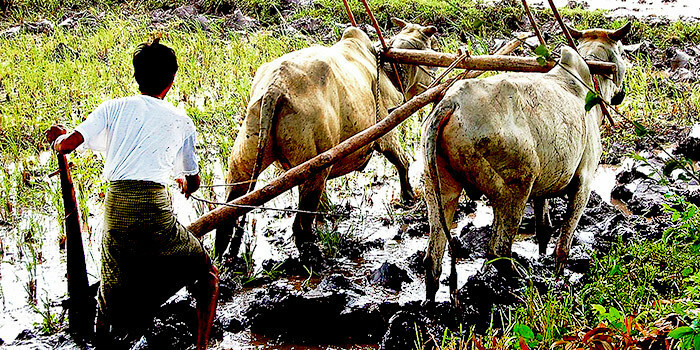 Myanmar’s agriculture sector dominates the economy, contributing 38 per cent of GDP, and employing more than 60 per cent of the workforce. 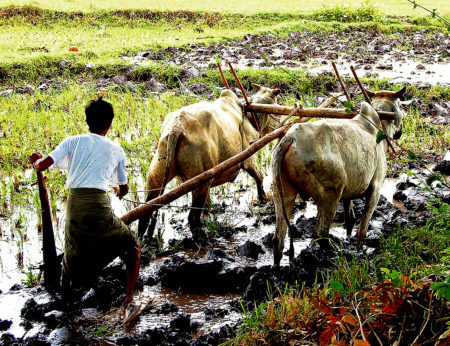 While the importance of agriculture in the economy and as an employer will diminish in coming years as a result of structural transformation, Myanmar’s agriculture sector will continue to play a remarkable role in reducing poverty in Myanmar for many years to come. Myanmar’s farming systems are well diversified. A recent farm economics study by the World Bank and Livelihoods and Food Security Trust Fund (Lift) found that most farms produce paddy during monsoon season, but grow a variety of other crops such as beans and pluses, oil seeds, and maize during the dry season. This is a very positive development as it helps to strengthen resilience of farming systems and effectively manage water during dry spells. In addition, rice consumption per person is lower than reported in official statistics (132kg (291lb) instead of reported 175kg (386lb)). This shows that people’s food baskets consist of more proteins or vegetables in addition to rice, which is very important to combat Myanmar’s high levels of malnutrition. Agricultural productivity is low though. The study confirmed that land and labor productivity in Myanmar’s agriculture sector are much lower than in Asia’s other ‘rice bowls’. 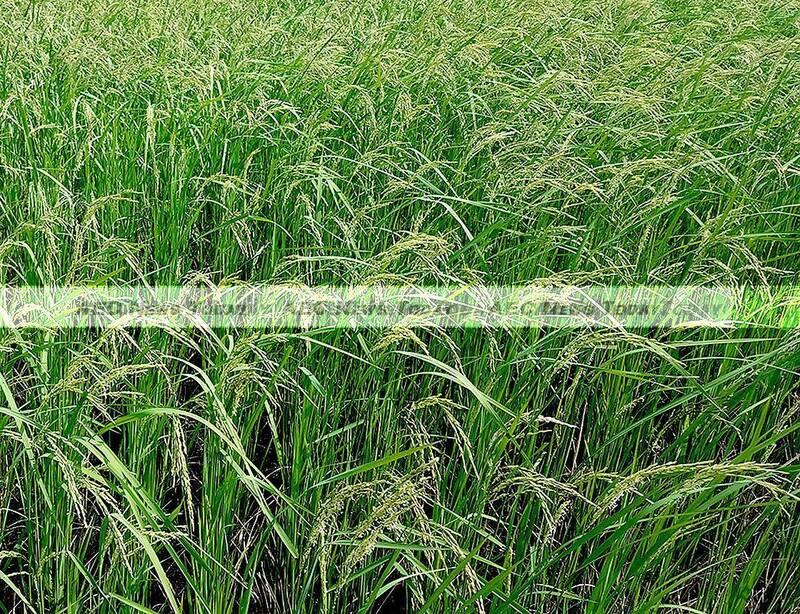 For example, during the monsoon season one day of work generates only 23kg (51lb) of paddy in Myanmar, compared to 62kg (136lb) in Cambodia, 429kg (946lb) in Vietnam, and 547kg (1,206lb) in Thailand. Low labor productivity is the main reason why wages in Myanmar’s agriculture sector are some of the lowest in Asia. An agricultural worker in Myanmar earns only $1.80-$2.50 per day during monsoon season, and $3-$3.50 during the dry season. In comparison, a farm laborer in Thailand earns $15 daily, a Vietnamese farmer on average $8.50 per day, and a Philippine farmer earns on average $7 per day. Farm profits in Myanmar are among the lowest in Asia. This is a direct result of low productivity of land and labor. 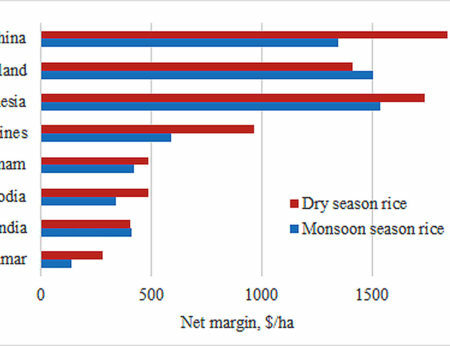 In 2013-2014, the net profit from producing monsoon paddy averaged $114/hectare ($46.15/ acre). This is ten times less than those in China for example. A similar picture arises from producing other crops. Farm profits in general are not sufficient to raise households’ per capita income above the regional rural poverty line, according to the study. This indicates that the potential of Myanmar’s agriculture sector has not yet been realised when it comes to poverty reduction. First example, seeds: the supply of certified paddy seeds is estimated to meet only 1 per cent of demand. The situation for other crops is even worse: the public system does not produce enough quality seeds. In addition, the enabling environment for the private sector is not conducive enough to stimulate seed imports or production and multiplication of seeds in the country. It is not a surprise that most farmers use their own saved seeds, a practice that keeps yields low. Second, the insufficient use of fertilizers: Myanmar farmers use much less fertilizer, often with the wrong nutrient balance, because of the lack of knowledge and training and a shortage of fertilizer quality assurance. As a result, Myanmar’s agriculture sector yields remain low. Third, poor access to irrigation: In 2014-2015, only about 3 million hectares (7.413 million acres) of agricultural land were part of the public irrigation systems, which makes up 15 per cent of the crop area. This is much lower than in Indonesia and Thailand (about 30 per cent), China (50 per cent), and Vietnam (70 per cent). A policy shift is needed from rice production to broad-based agricultural support. Producing more and getting higher paddy yields does not automatically lead to higher farm incomes. Higher incomes will arise from better farm management triggered by better public programs and policies. Higher income will also come from more strategic diversification. 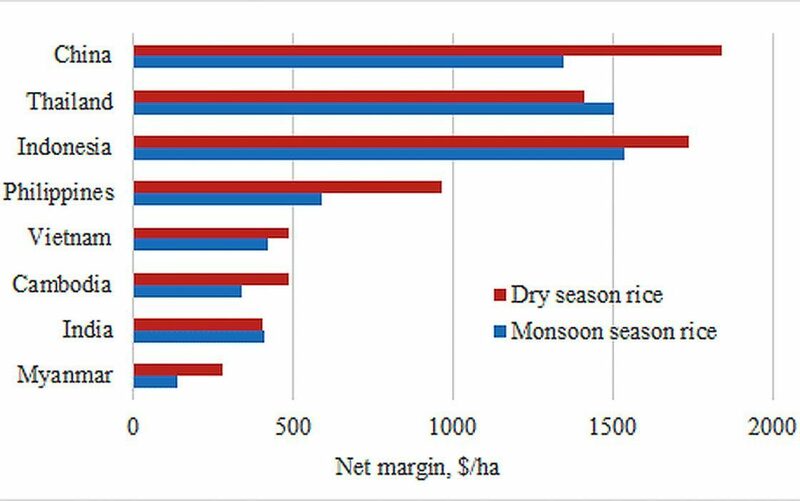 The study found that in many regions of Myanmar paddy production is less profitable than growing other crops, especially during the dry season. The most profitable is green gram, for example, and it is also less costly and less thirsty for water than paddy. It is important, therefore, that farmers have the freedom to select the least costly and most profitable crops to make their production effective and profitable. In other words, producing more by using less inputs, or using inputs better instead of using more to achieve higher yields, is key to ensuring high returns for Myanmar’s agriculture sector. Agricultural policymakers in Myanmar can do more to step up and provide high quality agricultural support programs. Agricultural productivity is affected by many factors. Some of them are beyond the immediate influence of agricultural policymakers, such as a decrease in labor availability, labor costs, or cost of working capital. Yet many factors can be influenced directly by the agricultural ministry. 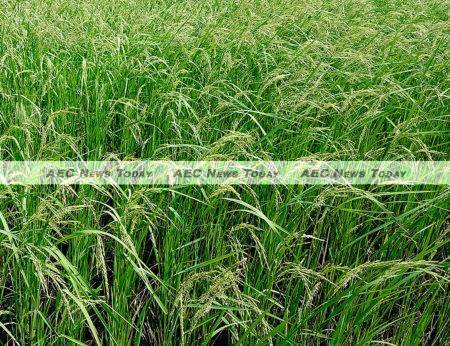 The public seed production system, which is currently biased towards hybrid rice varieties, needs to broaden its scope to a diverse range of paddy and other crops. Agricultural extension services are to be scaled up and strengthened to reach out to more farmers and cover more crops to accelerate adoption of productivity-increasing farm technologies. Irrigation systems can be made more flexible and provide on-demand irrigation services to enable farmers do produce different crops in different areas, and respond effectively to market opportunities. This article was authored by Sergiy Zorya, a senior agricultural economist with the World Bank. It first appeared on the World Bank Blog and is reproduced here with its permission.